New book, 82 pages. The third title in our Airframe Detail series is our first title to cover a Regia Aeronautica type of interest to scale model enthusiasts and features walkaround pictures of the example preserved in Italy. Whether you are tackling the currently available Hasegawa or Italeri kits this title will be essential reading for you. 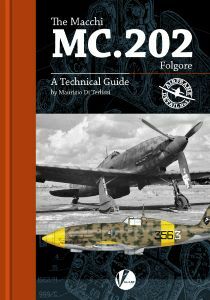 Contents include: A wealth of historical photographs, Walkaround detail period pictures; A mass of period diagrams from original flight manuals; Detailed study of structure, equipment and armament; Colour profiles and camouflage and marking detail by Richard J Caruana; Lists of all kits, accessories and decals produced in all scales.